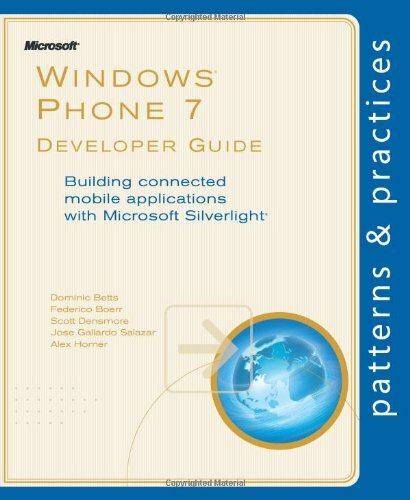 If you are interested in learning Windows Phone 7 programming in your favorite programming language C# then I have found excellent material for you at the Microsoft Faculty Resource Center. The material is created by Rob Miles, and it is an introduction to Windows Phone development for anyone learning to program. It contains 8 sections with labs, PowerPoint presentations, demos and detailed notes. This material is an introduction to Windows Phone development for anyone learning to program. It assumes some knowledge of programming fundamentals, but will teach you programming concepts in the framework of Windows Phone development. This information does not teach basic programming principles. The assumption is that you already know how to write and run simple C# programs on a Windows PC. Windows Phone 7 is gaining in popularity among developers, and if you are interested in learning Windows Phone 7 development and don't know from where to start then I will recommend you to follow the link and watch the video series prepared for you by Bob Tabor. This video series will help aspiring Windows Phone 7 developers get started. The series will start off with the basics of Windows Phone 7 development and in few hours you will get enough knowledge that you can build simple WP7 applications, such as a GPS aware note taking application. Windows Phone 7 provides an exciting new opportunity for companies and developers to build mobile applications which are interactive, attractive and are available wherever and whenever users want to work with them. Developers can combine Windows Phone 7 applications with remote services and applications and can provide highly scalable and powerful solutions that extend the functionality of triditional desktop applications. This guide describes a scenario around a fictitious company named Tailspin that has decided to encompass Windows Phone 7 as a client device for their existing cloud-based application.In addition to describing the client application, its integration with the remote services, and the decisions made during its design and implementation, this book discusses related factors, such as the design patterns used, the capabilities and use of Windows Phone 7, and the ways that the application could be extended or modified for other scenarios.The result is that, after reading this book, you will be familiar with how to design and implement applications for Windows Phone 7 that take advantage of remote services to obtain and upload data while providing a great user experience on the device.